This issue’s cover is Sharon Creech’s The Wanderer. Sharon Creech is interviewed by Suzanne Manczuk. Our thanks to Macmillan Children’s Books for their help in producing this March cover. 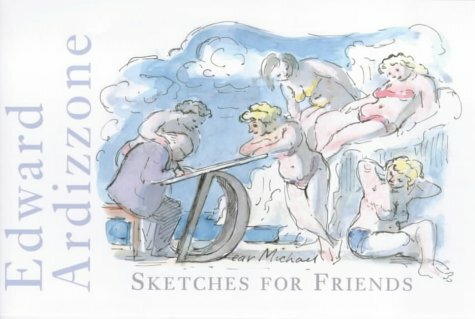 Ardizzone never stopped till he died, and this deliciqus volume displays a little of the huge pleasure that he gave to others by scattering his graphic entertainments among them. Pen sketches might intrude into his letters - those from the battle-fronts, say, when he was an Official War artist, or those dashed off while he was travelling in exotic places. Hand-written, illustrated diaries chronicle damp days boating on the Thames, or a bibulous visit to Dieppe with his brother David and the glorious Barnett Freedman. An during his last thirty years he might produce magical compositions with the text meandering through scenes done in luscious watercolour: 'Dear Michael. I adore the young ladies of Ockfen. Not adolescent and sharp, but deliciously late-picked ...' and there is the artist gazing his fill at the green-glass-bottle ladies on the banks of the Saar. Much has been done to celebrate the centenary of Ardizzone's birth, but this is surely the one he would have most appreciated. Judy Taylor (who was for many years his friend and his editor) has encapsulated here his geniality, his eye for the small comedies of everyday life, and his affection for all those lucky friends who shared a companionship of which these sketches are a memento.